Word Health Organization (WHO) - In advance of World AIDS Day, WHO has released new guidelines on HIV self-testing to improve access to and uptake of HIV diagnosis. According to a new WHO progress report lack of an HIV diagnosis is a major obstacle to implementing the Organization’s recommendation that everyone with HIV should be offered antiretroviral therapy (ART). The report reveals that more than 18 million people with HIV are currently taking ART, and a similar number is still unable to access treatment, the majority of which are unaware of their HIV positive status. 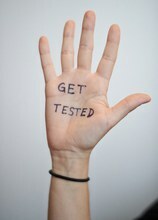 Today, 40% of all people with HIV (over 14 million) remain unaware of their status. Many of these are people at higher risk of HIV infection who often find it difficult to access existing testing services. With Budget Cuts Looming Again, Can PEPFAR Keep the Gas on its Acceleration Strategy?